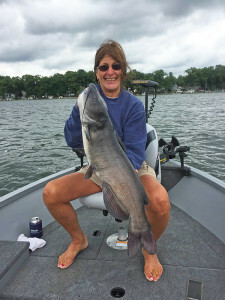 Tag Archive | "Master Angler program"
Michigan’s Master Angler program, which recognizes some of the biggest fish caught by recreational anglers, has grown in popularity in recent years. 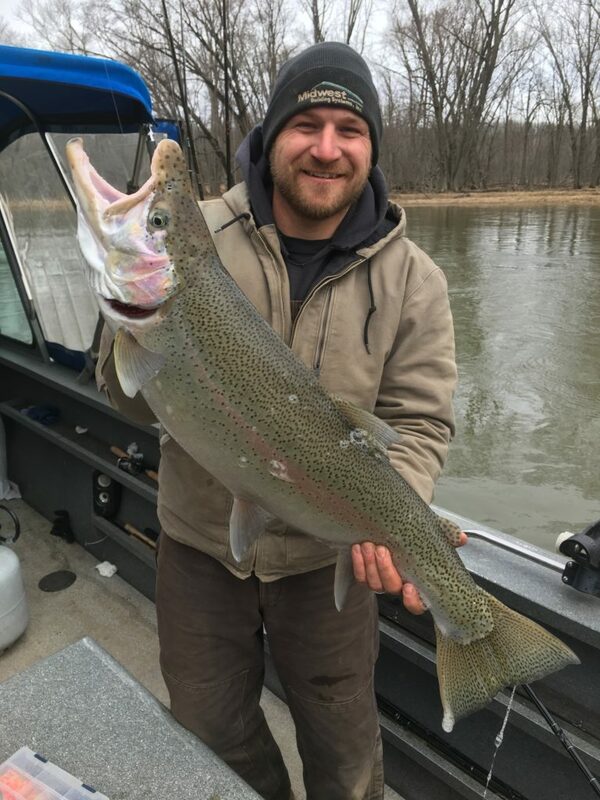 Here, Chad Kamm, of Metamora, shows off the rainbow trout he caught on the Manistee River in 2018 and submitted for Master Angler recognition. Learn more about the program at www.Michigan.gov/MasterAngler. People love to fish Michigan waters. 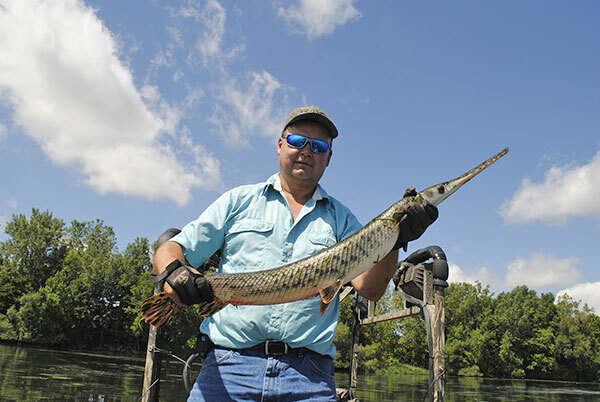 According to the state’s Master Angler program, they’ve been reeling in some real keepers the last few years. 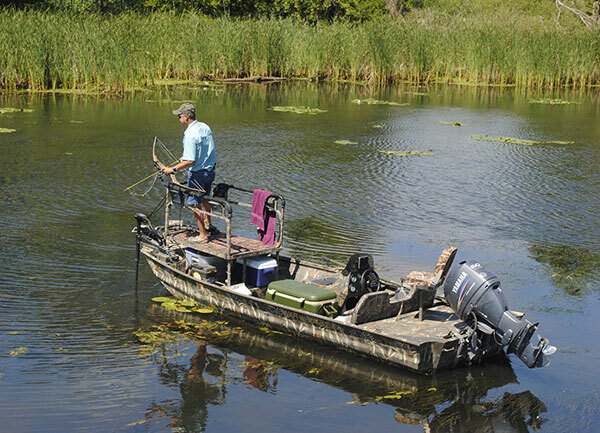 The program, managed by the DNR, enjoyed another successful year in 2018, accepting 2,698 fish. The program has been in place since 1973 and recognizes large fish caught by recreational anglers. There were 522 more fish submitted in 2018 than in 2017, with anglers representing 28 states and Canada being recognized. The program has more than tripled in the last four years. Of the entries accepted, 1,564 were in the catch-and-keep category, while 1,134 were in the catch-and-release category. Just over 500 anglers received certificates for fish that placed in the top five spots for both categories. Master Angler entries for 2018 included two new state records, a 1.80-pound hybrid sunfish caught in Lake Anne in Grand Mere State Park (Berrien County) by Joel Heeringa of St. Joseph, and a 46.54-pound black buffalo caught on the Grand River (Ottawa County) by Brandonn Kramer of Muskegon. The Master Angler program runs on the calendar year (Jan. 1 to Dec. 31). Submissions already are being accepted for 2019 and will be until Jan. 10, 2020. Because program requirements may change year to year, be sure to carefully read the application before submitting it. A downloadable application and more program details are available at Michigan.gov/MasterAngler. Questions? Contact Lynne Thoma, 517-284-5838 or Elyse Walter, 517-284-5839. 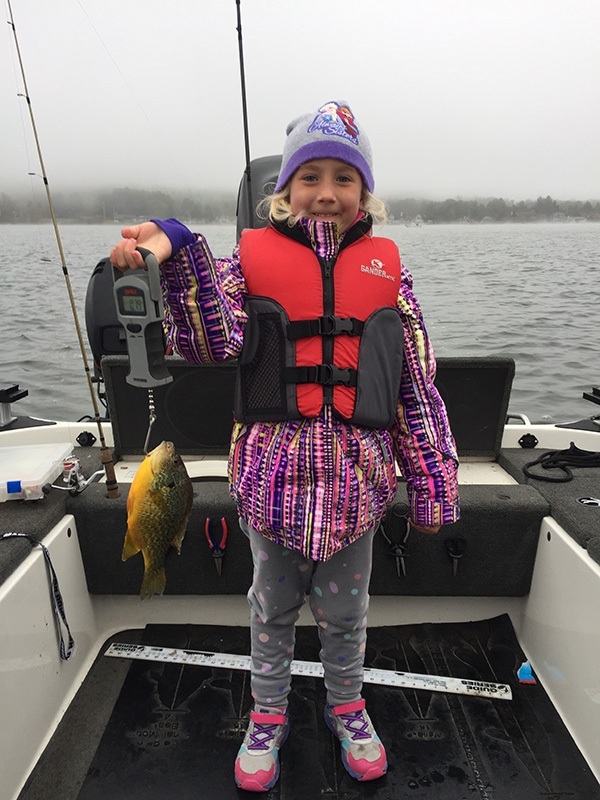 This pumpkinseed, caught by Harper Knust of Rapid City, was a 2018 catch-and-keep Master Angler Fish. In February 2019, the Michigan DNR announced some rule changes to the department’s Master Angler program. Anyone hoping to submit a catch to the DNR’s Master Angler program, which each year recognizes the largest fish of several dozen species, will want to pay close attention to the 2019 application. Each entry must include at least one photo showing the fish being measured. Color photos of the entire fish are required, too; entries received without color photos will not be accepted. The Master Angler program runs on the calendar year (Jan. 1 through Dec. 31), rather than the fishing license year (April 1 through March 31). The program includes more than 50 species of fish in both catch-and-keep and catch-and-release categories. All fish entered must be taken by legal Michigan sport fishing methods, during the open season, and in Michigan waters open to the public. Download the 2019 Master Angler application at Michigan.gov/MasterAngler. People are encouraged to review the application every year for program changes. Applications can be submitted via mail or email; the current year’s form is due Jan. 10, 2020. 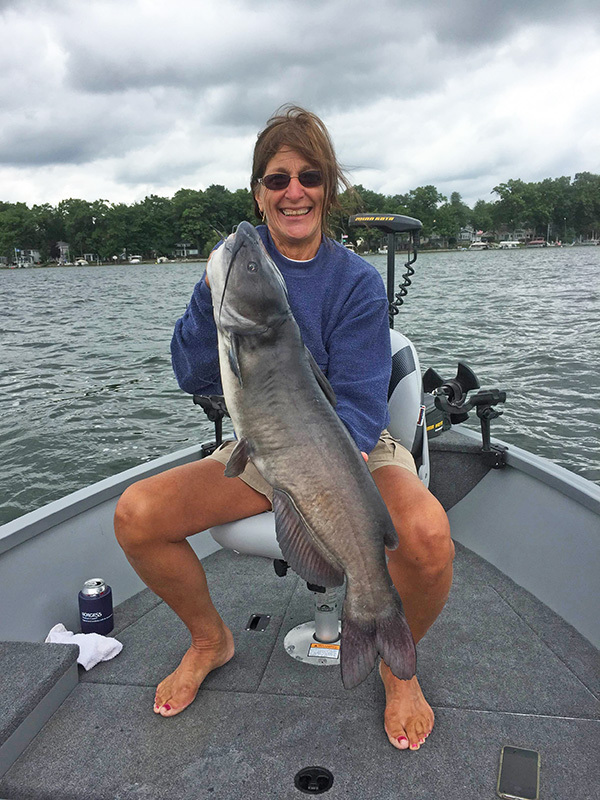 Janet Huff, of Marcellus, Michigan, shows off the 31.25-inch channel catfish she caught in Devils Lake in July 2016. The Michigan Department of Natural Resources has announced the 2016 results from its Master Angler program. This program, in place since 1973, recognizes large fish caught by recreational anglers. This past year, 1,807 anglers representing 24 states and the countries of Canada and Austria submitted catches that were recognized as Master Angler fish. That’s an increase from the 1,542 fish recognized in 2015 and nearly double the 987 fish recognized in 2014. Of the entries accepted, 1,078 were in the catch-and-keep category while 729 were in the catch-and-release category. A total of 241 anglers received certificates for fish placing in the top five for both categories. Master Angler entries for 2016 included one state record: the 9.98-pound smallmouth bass caught on the Indian River by Robert Bruce Kraemer of Treasure Island, Florida. Submissions already are being accepted for the 2017 Master Angler program, and will be until Jan. 10, 2018. To download an application, visit Michigan.gov/masterangler. Anglers are encouraged to submit their applications as they catch their fish and to not hold onto them until the end of the year.